Mod Pizza brings back Mike's Hot Honey and the Oreo Cookie Milkshake this winter. To round it all out, they also add the new Roasted Brussels Sprouts Salad. The new Roasted Brussels Sprouts Salad features roasted Brussels sprouts and mixed greens joined by roasted garlic, grated parmesan, and croutons and then tossed in a seasonal lemon herb vinaigrette dressing. The returning Oreo Cookie Milkshake is a vanilla shake blended with Oreo cookie pieces. 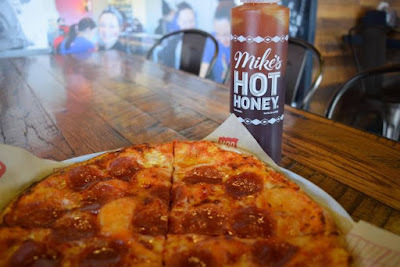 Mike's Hot Honey is a chili pepper-infused wildflower honey that can be drizzled on any pizza. The salad and shake are available nationwide through April 22, 2019, while the honey stays on permanently.